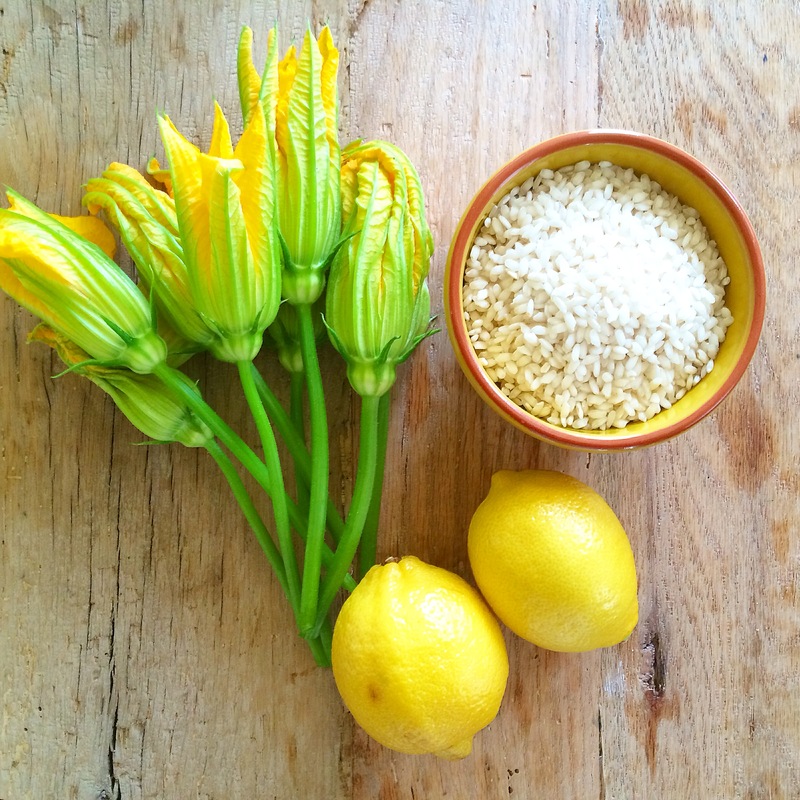 We love this delicious, delicate recipe that makes the most of the abundance of beautiful zucchini flowers that are growing like weeds in the ELE kitchen garden at the moment. Lightly saute the sliced spring onions in butter until they are translucent. Add the aborio rice and toast until coated with the butter. Add a splash of white wine. Once the rice has absorbed most of the wine, add the saffron threads and the zest of one lemon and stir through. Add a ladle full of hot chicken stock and repeat the process until the rice is almost cooked through, stirring the whole time. Add the blanched baby peas and sliced zucchini flowers and stir through with a little extra stock until the flowers have slightly wilted and the rice is perfectly cooked (creamy with a slightly nutty texture). Remove from heat, add the juice of half a lemon, a knob of butter and finely grated parmesan and stir through. Season and serve immediately with the extra parmesan cheese and a wedge of lemon. Enjoy! This recipe sounds delicious— I can’t wait to try it! Risotto is one of my absolute favorite dishes!! This looks so good, I will have to give it a try! Risotto is one of my absolute favorite dishes! This looks so yummy, will have to give it a try! !